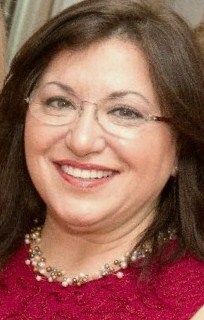 Dr. Michele Harutunian has dedicated herself to providing quality health care for many years. In addition to earning her dental degree from New York University, she also possesses an MD degree. This unique combination of experience and knowledge allows her to provide dental care as part of your overall health care plan for you and your family. You may have read her article, Herbal Medicine and Dentistry, published in The Herald Newspaper. Dr. Harutunian believes in keeping up-to-date with the latest advancements in dentistry in order to provide her patients with the best dental care possible. To this end, she participates in many hours of continuing education programs each year, focusing on cosmetic, laser dentistry and advanced dental implant training, which allow her, in many cases, to offer you less invasive solutions than ever before. In addition to practicing, Dr. Harutunian is committed to lifetime learning in the dental field and serves as a Clinical Assistant Professor at NYU College of Dentistry. She has numerous publications and has done public speaking at dental meetings nationally and internationally. While Dr. Harutunian continues to pursue excellence in dentistry, she also places great emphasis on being an honest, gentle, caring dentist who puts her patients first. She is also a member of the Academy of General Dentistry, Academy of Cosmetic Dentistry, and the American Dental Education Association.